My favorite Santa Stamp is from Tim Holtz’s Cling mount Set #32 “Santa’s Wish”. The set has been around for awhile but every Christmas I just have to use it on one of my Christmas Cards. So for this Christmas Season I thought I would try to combine a few different things and see what happened. Again, I used Santa’s Wish, along with a #12 Tag and an assortment of other Sizzix dies and Tim Holtz/Stampers Anonymous stamps. Oh, and just to sweeten my creative time I used the Eclips machine and some of Tim’s Stamp2Cut cartridges. I must say that I absolutely love using the Stamp2Cut cartridges. Tim has definitely outdone himself with this little gem! 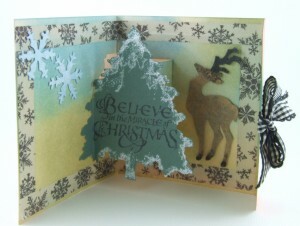 The reindeer was so much easier to make with Stamp2Cut than with handcutting. Inside of card was created using the Sizzix Card Horizontal A2 with Circle Label 3D (Pop up), Christmas Tree with Star and Stand, Stamp2Cut Cartridge 16 (for reindeer), Ideaology Tissue Tape for border and Tim Holtz Alterations Shapers and Movers Snowflakes. 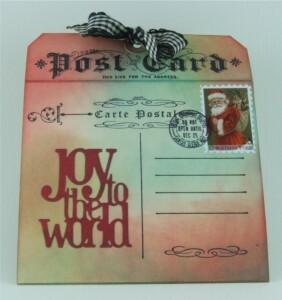 Joy to the World created with Tim Holtz Alterations – Decorative Strip Die – Stacked Words, Christmas. 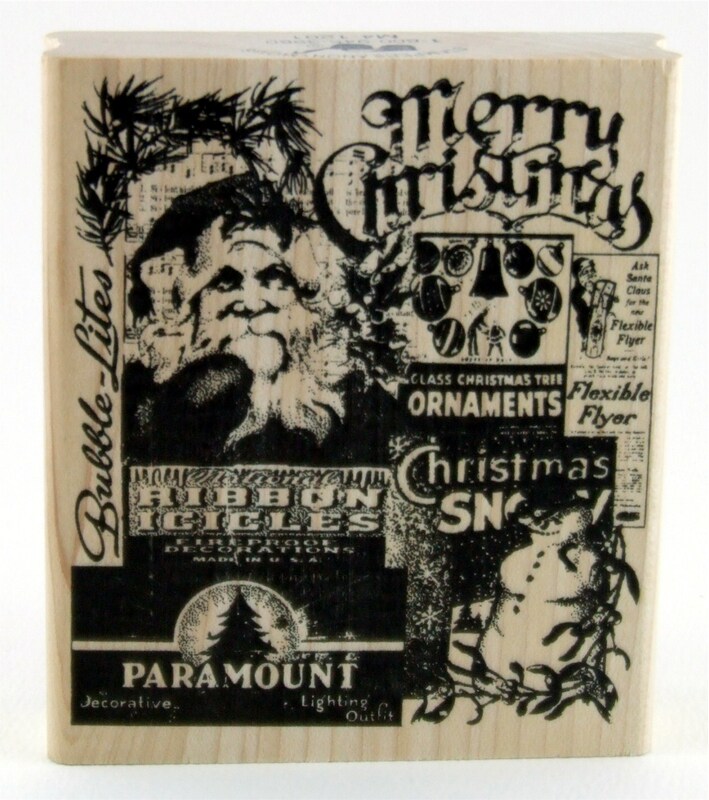 Leave a comment on what your favorite Santa Stamp is and you could win a Tim Holtz/Stampers Anonymous wood mounted Santa Collage Stamp. Contest closes December 15, 2012 and winner will chosen by random draw from all comments left. Good luck! 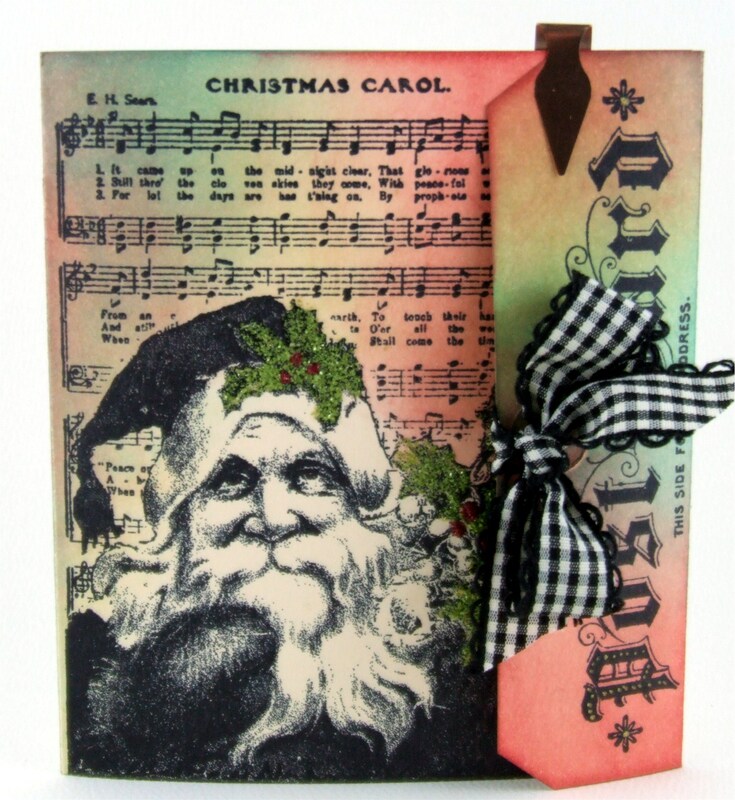 Congratulations to Linda Pearson on winning the Santa Collage Stamp. Linda, please email me your shipping info so that I can send you your stamp. This entry was posted in Recent Posts by Sue. Bookmark the permalink. What a fabulous card, Sue! 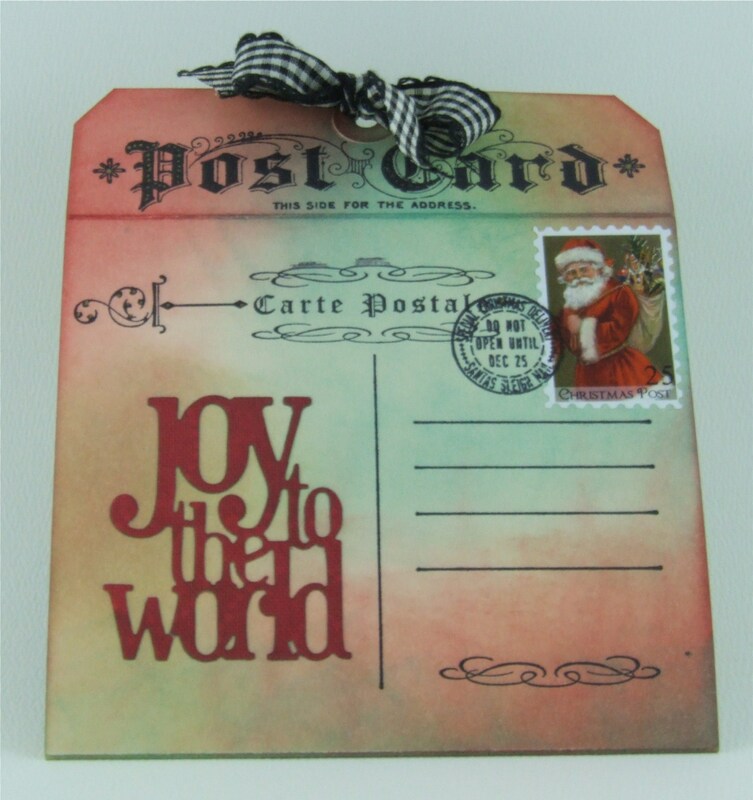 You’ve used a wonderful combination of stamps and other products! Yay for using your Eclipse! My favorite Santa stamp is one by Bo Bunny called “Santa Dear,” where Santa listens to an old fashioned telephone with a background of a written letter. Sue it ceases to amaze me – you always keep coming up with such awesome projects! 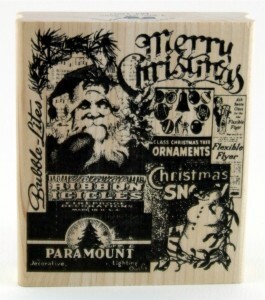 It is hard to pick a favorite set of stamps but I think mini holidays 3 #114 is my favorite. I have to agree set #32 is also a great set!! I like what you did with the tags. My favorite is the card with the tree inside. Can’t wait to see your next project.